FS: Lots of Stuff! Price Drops! Shipping is $5, free if you spend $30 or more. 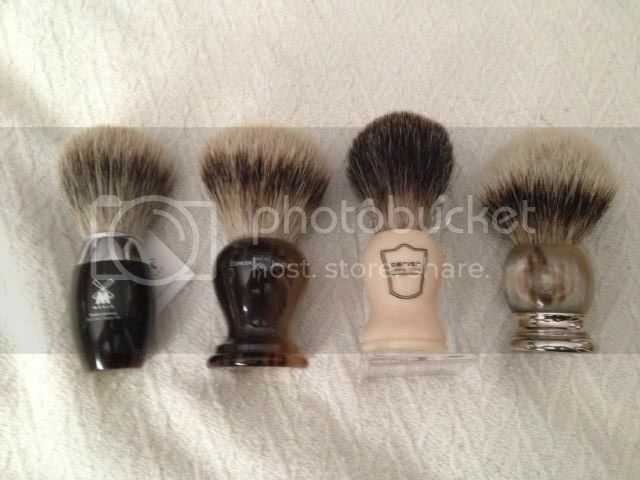 Shavemac silvertip, not D01, in gorgeous real horn with box, lathered once. Amazing brush. 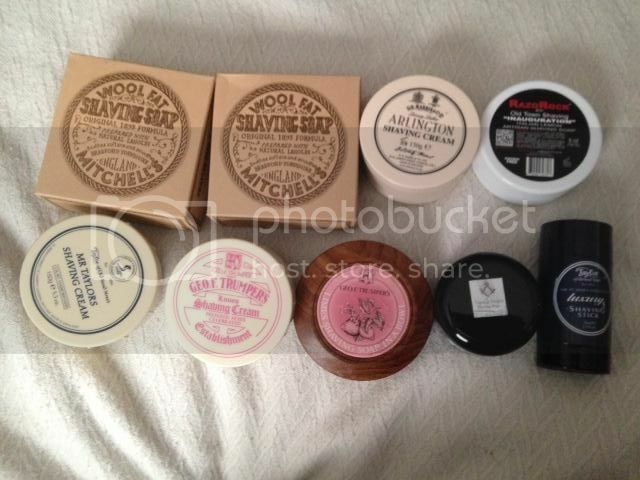 I love shavemacs and have a few D01s. Decided to try this. I prefer the D01s. - $100 SOLD! Soaps in top row are all new. Bottom row, very minimal use. MWF with ceramic bowl - $27 each NOW $25 BOTH SOLD! DR Harris Arlington Cream - $20 NOW $18 SOLD! Razorock Inauguration - $13 NOW $11 SOLD! GFT Lime cream - $12 NOW $10 SOLD! GFT Lime soap in wood bowl - $16 NOW $14 SOLD! LASS Topanga 4.5 oz. - $12 SOLD! TOBS Shaving stick - $6 NOW $4 SOLD! Box o'blades, new - $18 NOW $16 SOLD! Big bag o stuff - $30 shipped NOW $20 SHIPPED! SOLD! 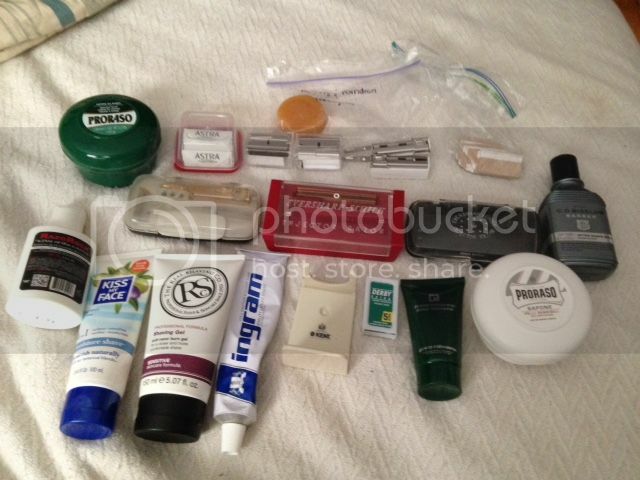 btw, soap puck in the bag is a Morris and Forndran. How was the M & F soap? (10-30-2014, 02:25 PM)nachum Wrote: price drops on everything! What is the 1st one in the 2nd row? Is it shovel head1924? 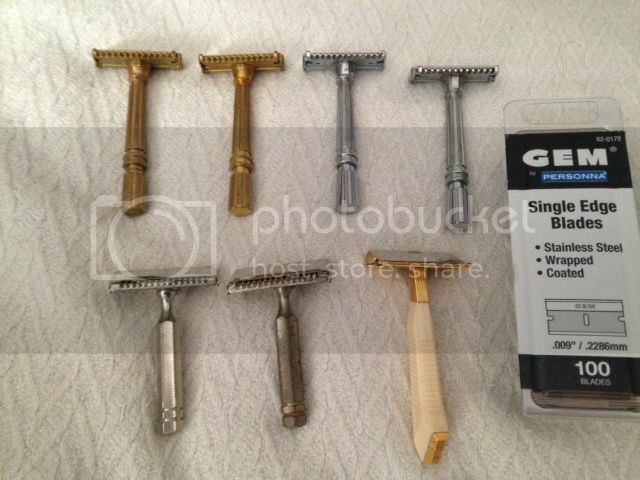 Both of those Ever Ready razors look like 1924/"shovelheads", no? Is either of them with the "curved" teeth, or both flat? I'm interested in the curved-teeth version of a 1924.